After teaching this technique successfully for years, Steven is introducing all-new projects in this book. In a series of 25 small projects (pendants and beads), Steven will explore creating structural metal work (such as hinges) and applying enamel effects such as faux raku. Simple techniques include sawing/cutting/punching; dapping; riveting; lashing; soldering; and enameling. All these techniques are simplified and the only torch needed is a hand-held one that can be used in a home studio. 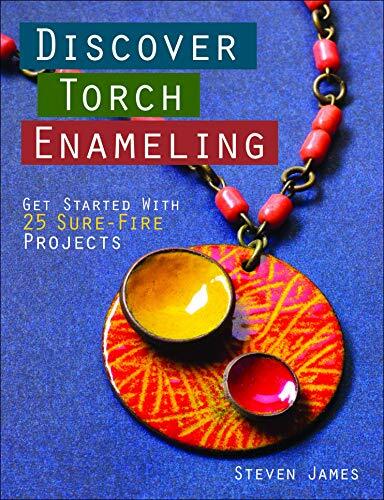 As a high school art teacher and professional designer and jewelry instructor Steven James brings years of experience to his book. Armed with his mantra, "What are you gonna make today?," Steven James incorporates beads and jewelry making into home decor and everyday living. Visit his Web site, macaroniandglitter.com, or follow him at facebook.com/stevenjames. He lives in San Francisco.